When I interview people before taking my classes, so many tell me that they have been told to start their acting careers by training for commercials. I would like to silence all those who are perpetuating this disempowering misconception. They are destroying acting careers before they even start. But I do understand that when most people look at actors in commercials, it looks so easy. It is no wonder that many think that it is a way to break into acting, be seen and make lots of money. Yes, it is fun, creative and can be lucrative. Most working commercial actors can make it look easy because most are pros. 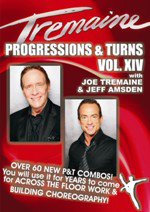 As you will discover, there is a lot to do, learn and know before starting to audition well and book commercials. 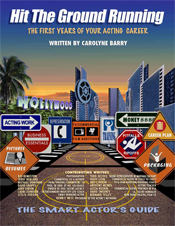 WHEN TO START: I strongly believe that you should study acting for a year or so and Improvisation for a good six months (at the least) before doing a commercial class. Then you will be more prepared to go get a commercial agent and start auditioning – hopefully, while you continue to professionally train consistently. I believe that when people start auditioning too early, it often creates major problems with craft and confidence. And when those actors do less than stellar auditions, there is a good chance the casting directors they audition for will choose not to see them again, even in the future after they train and improve. Although, I do have lots of students with little or no training take my beginning commercial workshop. And, I also have agents send me total beginners (who are great commercial types) to learn enough basics to be competent at their auditions. AND after the class, many of these rooky actors who are good commercial types and/or have strong performance talents or skills, do book some work. On the other hand, from years of experience, I am convinced that those who want to book lots more work, plan to have an acting career and want to feel secure about their craft need to prepare and train first before jumping into the commercial arena. GETTING AN AGENT: Getting a good agent can be challenging. Agents are inundated daily with dozens of pictures and resumes of actors who want commercial representation. COSTS: Between training, commercial wardrobe, photos, a website, reproductions, casting sites and mailings, it can get expensive. Plus, by working a job that gives you the flexibility you need to audition, your income usually will not be as good as if you had a full time job. TIME CONSUMING: Depending on the location of the casting facility, each audition will normally take on the average of 2 ½ to 4 hours, to travel back and forth, park, prepare, wait and do your five minute audition. And often but not always, actors go out on dozens of audition before booking one. HIGHLY COMPETITIVE: Getting auditions is very competitive. There are hundreds to thousands of actors submitted for every role. Only 80 to100 are seen each day per role. So you have normally a 10 -15% chance of getting an audition when submitted. 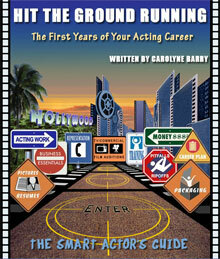 MONEY EARNED: The money that most new actors think they will earn form booking a commercial is not always the case. It depends on many factors whether the commercial is: union, non-union, local, regional, national, international, one spot or multiple spots, the number of actors, on-camera or voice-over, buy-out and/or residuals. Actors can earn anywhere from a few hundred to (in rare cases) a few hundred thousand dollars doing a commercial. My main intention in laying out these misconceptions and challenges is not to discourage you from pursuing commercial work but to help you avoid the pitfalls that can make it difficult to make a good start. There are many more misconceptions and challenges you should be acquainted with before jumping into beginning your commercial acting endeavor, do watch my Look Before You Leap Into Commercial video. Auditions can be tough to come by. You want to do well to have a better chance at booking the job as well as leave a favorable impression so that you will get more auditions with the casting director.